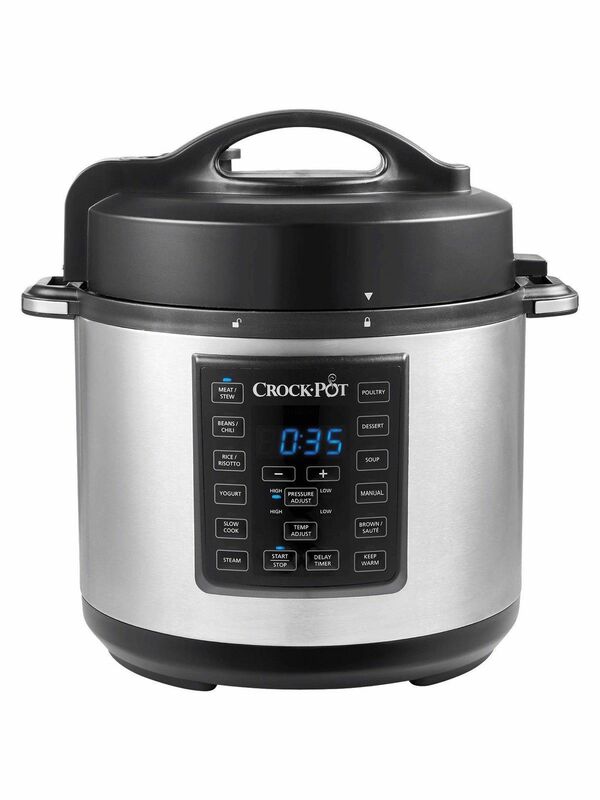 Featuring a removable pot the Crock-Pot CSC051 can be used to easily and quickly prepare a host of meals that normally require a lot of time and attention. Choose between pressure cooking, slow cooking, steaming or even brown/sauté, to maximise flavour. 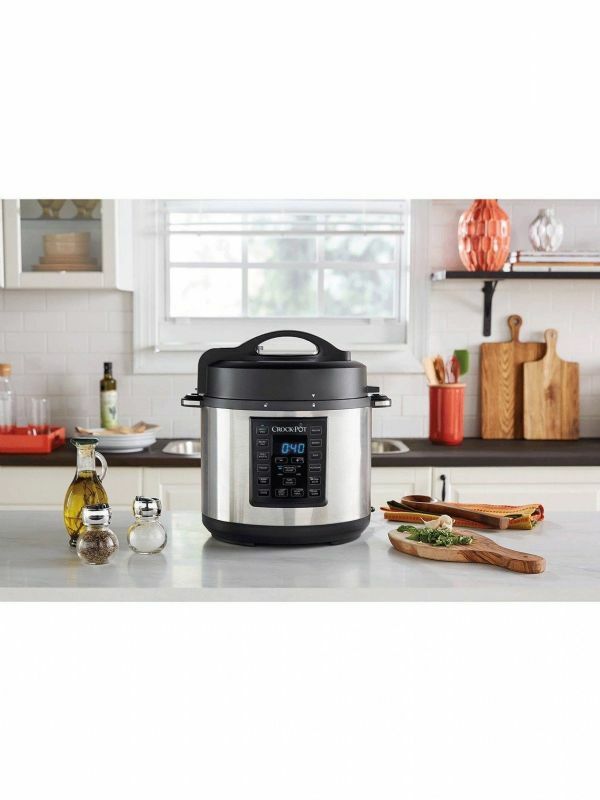 Using the pressure cooking function, you can cook a whole chicken in 30 minutes. It's safe to use too, as the airtight lid locks under pressure. Alternatively, add your ingredients in the morning and slow cook a piece of meat or a stew, and it's ready when you get back from work. 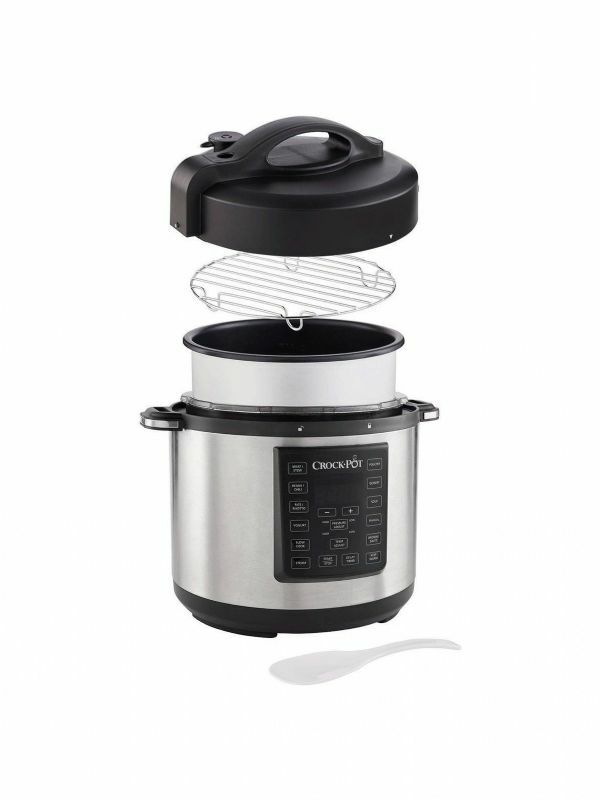 A useful keep warm function guarantees piping hot food is available until you are ready to eat. The digital timer with LED display will countdown the minutes and automatically switch the cooker to warm when cooking time is up. It even comes with a recipe book to inspire you.